Tastefully Simple provides exceptional tasting experiences and lifestyle solutions, through simple, delicious food and enriching business opportunities. Law of Abundancy - Fostering peace of mind through win-win attitudes. Law of Magic - Creating positive energy through celebration and excellence. Law of Realness - Building trust through humbleness. We are committed to exceptional quality, simplicity and uniqueness. We strive to earn long-term respect and confidence by exceeding expectations. We are distinctive in our attitude of passion, sincerity and respectfulness. We celebrate with a cooperative spirit of teamwork and fun. We nurture the community in which we live. We are intuitively aware of new products, people and places. We enrich the lives of our consultants and the HQ team members through empowerment and personal development. Easter is always a big holiday for us. We used to go to my Grandma's house. Now I have taken up the reins, and host at our house. We then have a second Easter with Ben's family. It's that big of a holiday for us!! 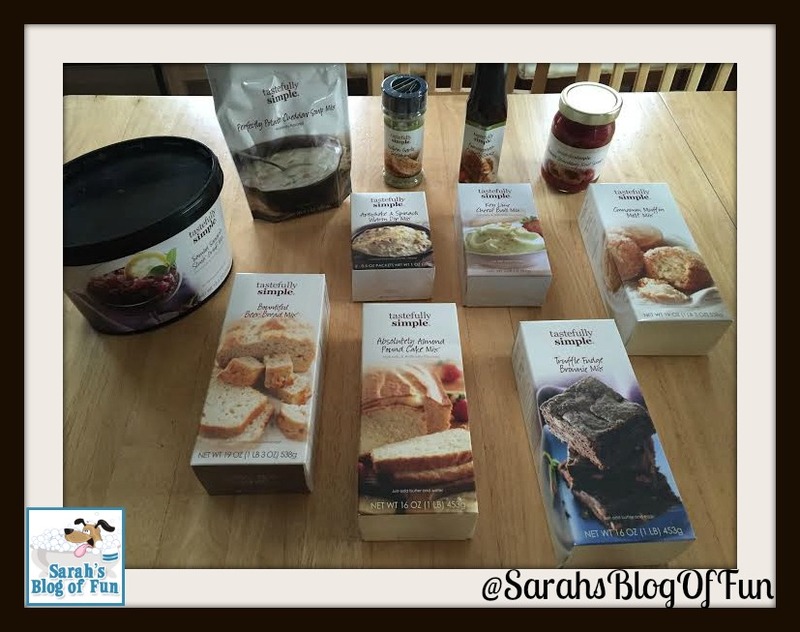 This year, Tastefully Simple sent me a variety of products and recipes to make Easter extra special!! I made some of the items for Easter #1, and I will make the others for Easter #2!! 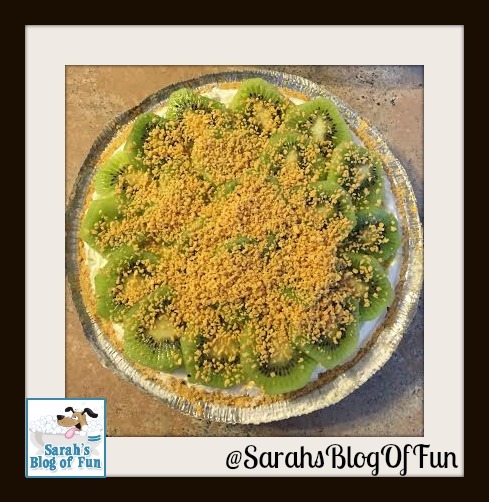 We tried the Spinach Artichoke Dip, the Key Lime Dip that I made into a Key Lime and Kiwi Pie, and the Frozen Sangria Mix!! 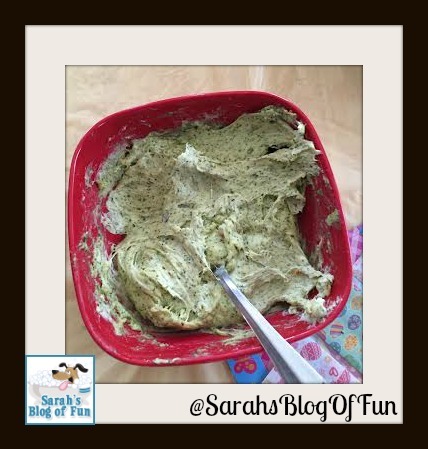 I loved the taste of the Spinach Artichoke dip, and it was very easy to make. All it needed was Swiss cheese and cream cheese. The only problem we had was it was very thick. We had to use a spoon to scoop the dip onto the chip. Not a problem in this house though!! Look how absolutely amazing it looks!!! The last item we made was an adult favorite. 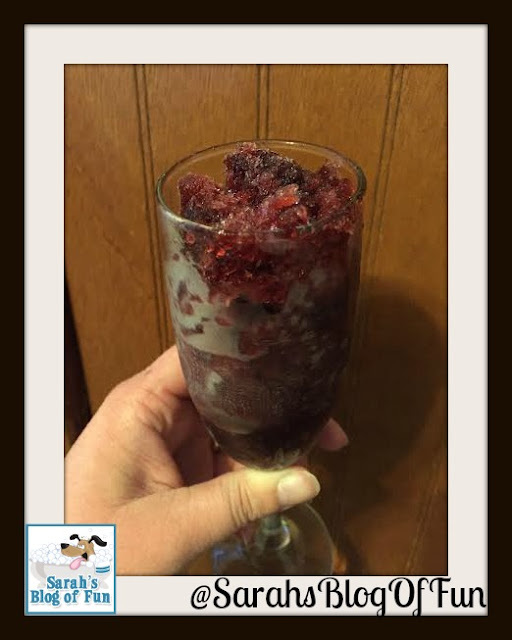 We made the frozen Sangria mix. The Sangria called for two bottles of wine, and a little water. Then we froze it for a couple hours and had fun drinking it!! I am used to non frozen Sangria's, but this was really good too. Next time we make it I think I am going to add some fruit to it before we freeze it!! 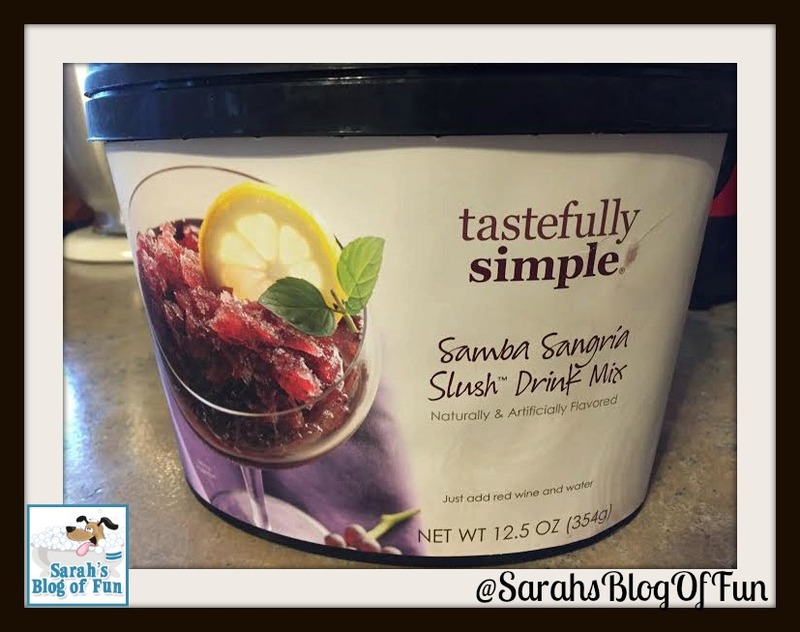 Over all we loved the items we received from Tastefully Simple, and I can not wait for our next Easter celebration so we can try even more yummy food items. Stay tuned and I will let you know what's on the menu!! 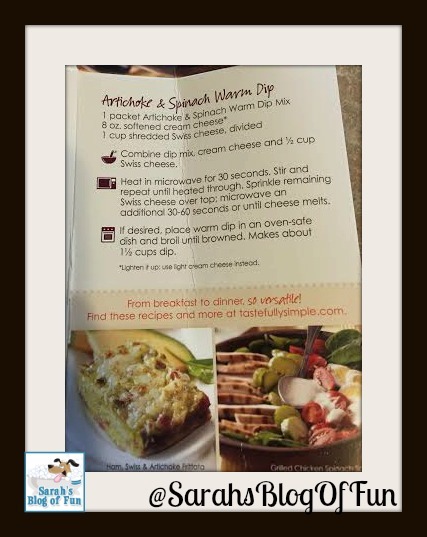 In the meantime, check out some of these delicious looking recipes, and Tastefully Simple's website for even more recipes and to purchase the terrific items we received!! 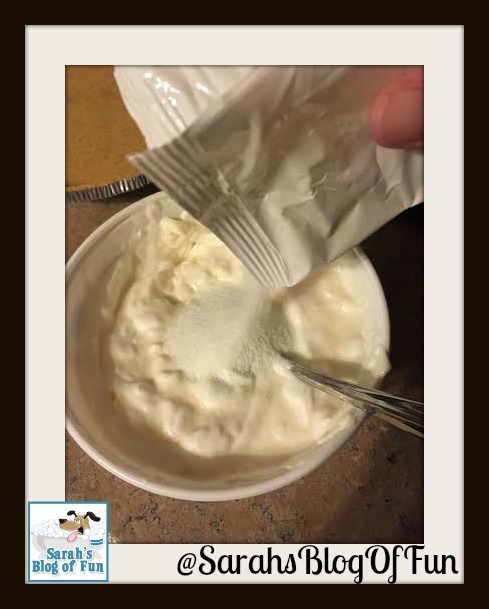 Serve tonight: Combine first 4 ingredients in a gallon resealable freezer bag; seal. Place bag in a shallow dish and refrigerate 30 minutes or up to overnight. Preheat grill to medium. Remove tenderloins from bag; discard bag with marinade. Place tenderloins on coolest part of grill. Grill, turning once, until internal temperature reaches 165°, about 15-20 minutes. Remove from grill; slice tenderloin and serve over a bed of lettuce with your favorite toppings and dressing. Makes 6 servings. Freeze for later: Combine first 4 ingredients in a gallon resealable freezer bag. Seal well, label and freeze. Thaw completely. Prepare as directed above. Place pork shoulder roast in a greased 4-5 quart slow cooker. Salt and pepper all sides of roast; cook on low 8-10 hours or until pork is tender. 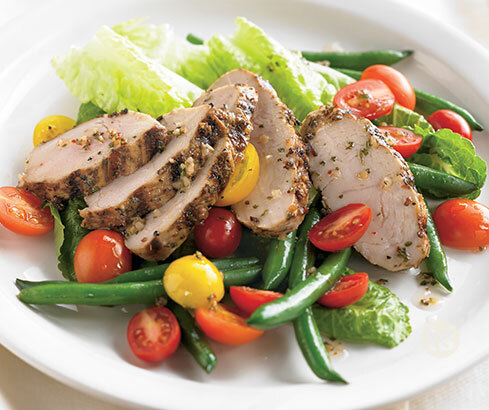 Remove pork from slow cooker, reserving juices; shred, discarding fat. Return pork to juices remaining in slow cooker. Add Pomegranate Chipotle Sauce; mix well. Heat on high for 15 minutes or until hot. Combine cole slaw mix and Vidalia Onion Dressing in medium bowl. 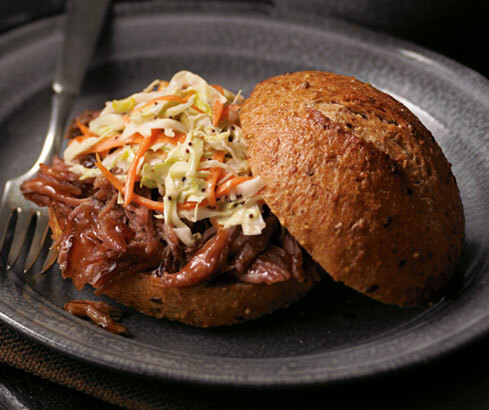 To serve place pulled pork on hamburger bun; top with clos slaw mixture. Makes 10-12 servings. 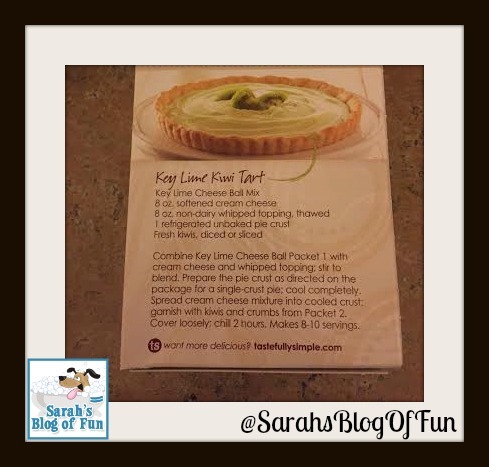 The Key Lime Kiwi Tart does look delicious and so easy to make. The dip also sounds good.